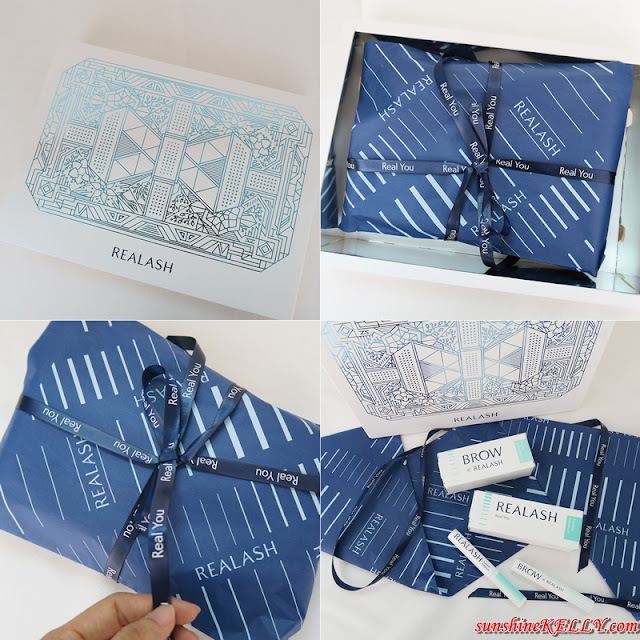 Yuhuu finally unboxing my Realash Box that that safely arrived at my doorstep few days ago. Tadah!!! so here is my new Realash Eyelash Enhancer and Brow by Realash Brow Enhancer. Being a Chinese I have relatively small eyes and also straight and short eyelashes. I always wish that can have a curler, longer more dense eyelashes. That will makes my eyes look bigger and brighter. So i can’t wait to try it and hope it will helps to make my eyelash to grow longer and curler. Realash products are origin from France and their products are available in 35 countries worldwide. What I like the most is that their products ingredients are mainly from natural plant base. We have to be extra careful when it comes to skincare or anything that we apply around our eyes area. I am glad that I received the products are safe to use. Thanks Realash Malaysia! Now I can’t wait to try the Realash Eyelash Enhancer and Brow by Realash brow enhancer for 30 days. 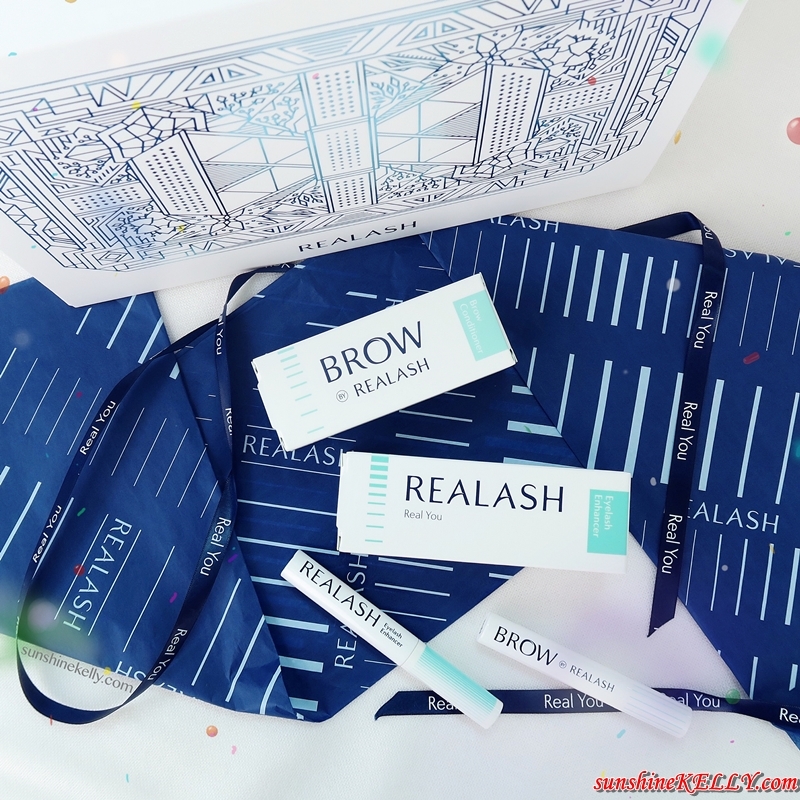 This is the Realash Eyelash Enhancer that is priced at RM190 and the Brow by Realash Brow Enhancer is priced at RM170. Both come in a very compact casing with applicator. The texture is thick transparent liquid, there is no scent at all. After unboxing, here is my first time trying out the product. 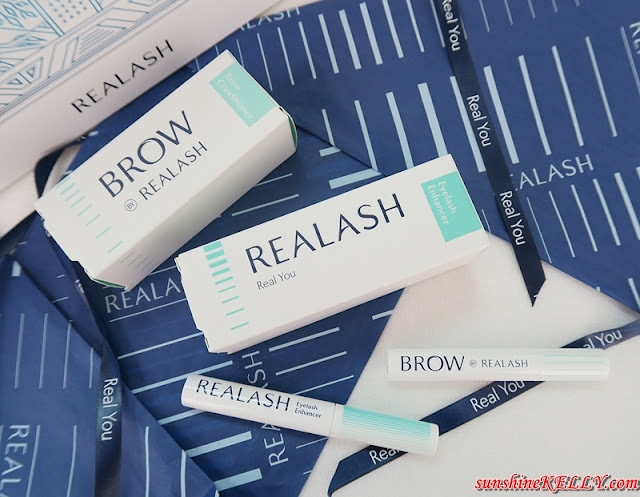 Realash Eyelash Enhancer and Brow by Realash Brow Enhancer doesn’t cause any irritation or redness to my skin and eyes to its suitable for me. I will continue to use it for 30 days and let’s see the result? Will my eyelashes grow longer, curler and more volume. 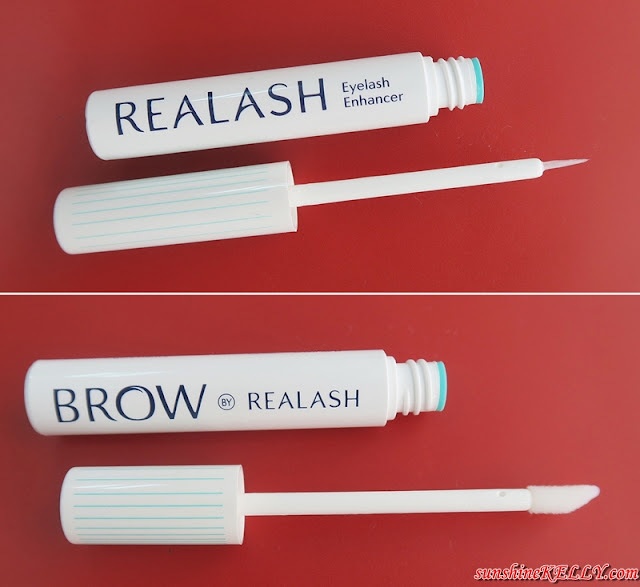 So stay tune and keep an eye on my blog for Realash Eyelash Enhancer & Brow by Realash Brow Enhancer Review. I love the beautiful and simplistic packaging. Heard good reviews about Realash from my MUA friends. Nice one! Simply love the minimalism design. Kels!!! I want to try this! hehe.. the packaging of the whole package is so cute la!